The new generation of barbershop is here as Metropolis, winners of the 1998 Harmony Sweepstakes, deliver their first CD. 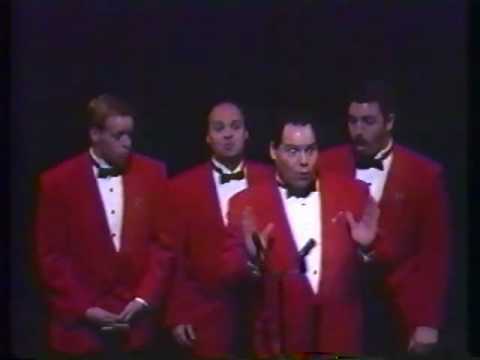 The group has assembled a collection of familiar songs from different eras, such as "Our Day Will Come," "Love Me Tender" and "Honey's Lovin' Arms," all "Metropolized," the definition of which is as follows: close, rich harmonies, performed with such flawless intonation and dynamics, that the chords surge as if they will take flight and soar right out of the CD player! The arrangements have just enough individuality to keep the proceedings lively, and provide the challenge this group requires without becoming arcane. In other words, this CD will be prized by the traditional barbershop listener, and appreciated by those who typically prefer other styles. 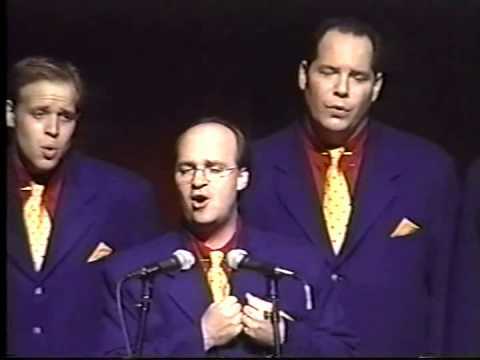 Included is "You're A Mean One, Mr. Grinch," in honor of Christmas season, with its wry spoken interlude, and "Yakko's World," which some may remember from their winning Sweepstakes performance.